Being rich in natural resources for power generation and demonstrating an increased interest in low-carbon technologies, battery storage, distributed generation solutions along with integrated grids, Africa’s energy space is experiencing a progressive evolution. Moreover, the continent’s political and economic landscape have stabilised dramatically over the past two decades, rendering it an attractive investment destination for both local and international stakeholders alike. 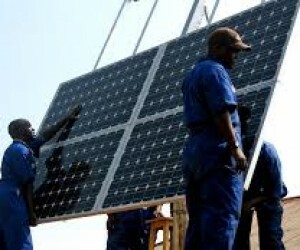 According to The World Bank Energy project portfolio, there are currently 48 projects lined up, totalling $3 billion, thereby demonstrating the need for jobs and related skills to match those positions for successful implementation of these energy projects, thereby contributing to the economic and socio-economic advancement of the region. 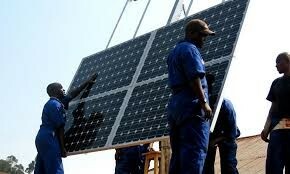 The question then remains: What is being done in terms of skill development within the African energy space? Building a competent energy workforce will create jobs of extensive scope along with business opportunities in rural areas that are left wanting for clean energy and economic growth. Many of these jobs could advantageously be performed by women and members of the expanding youth who bear the brunt of the effects of energy poverty and broader economic exclusion. African Development Bank President Dr Akinwumi Adesina, has introduced a programme aimed to create 25 million jobs and upskilling 50 million youth over the next decade. Additionally, the private sector has taken the initiative on this challenge in Africa. BBOXX and M-KOPA have launched their ‘University’ and ‘Academy’ initiatives to train their teams, whilst collaborating with Shortlist, a technology employment start-up in Kenya that assists businesses foster internal learning and development programmes for junior, middle and senior level employees. In 2017 Wits Business School (WBS), in collaboration with the Chemical Industries Education and Training Authority (CHIETA), introduced the Africa Energy Leadership Centre (AELC). This establishment aims to address the skills deficit experienced in the energy sector and aims to develop highly skilled and informed people to advance the energy space, thereby supporting economic growth of the continent as a whole. The Energy and Water Sector Education and Training Authority (EWSETA), established in accordance with the Skills Development Act 1998 – amended to confront the skills gap facing South Africa and enhance and manage skill development and training requirements in the country’s energy and water space. Furthermore, the upcoming Africa Energy Indaba is again set to empower today’s African youth by hosting its third African Youth Energy Innovator Showcase in 2019, giving them the opportunity to be seen by industry experts and energy decision makers. To remain relevant in the international arena, Africa needs to invest and develop its upcoming generations of energy leaders. The contest is open to 18 to 35 year old individuals from across Africa. Five winners have been chosen and will be able to showcase their innovations both locally and internationally to increase publicity and exposure; they will meet potential investors, key public and private sector stakeholders as well as possibly attract funding for their winning innovations. The success of past winners as a result of the funding provided by the Africa Energy Indaba to the winners has helped them to develop sustainable energy businesses in Africa. The extensive investment opportunities of the African energy realm and the establishments assuming responsibility for developing the talent pool within the sector, are proactively setting the African economy up for success by upskilling and empowering workers, thereby creating jobs for millions of people across the continent. This year’s Africa Energy Indaba, taking place on the 19 - 20 February 2019 in Johannesburg, South Africa, has become a benchmark for similar conferences and events by empowering African energy participants to enter a new age of innovation, technology, competitiveness and sustainability. The event will not only provide a multitude of opportunities for the aforementioned stakeholders, but for anyone vested in the energy sector, and in so doing, contributing to the growth of the region’s economy by and large.